Opossum removal services in Greater Nashville and Middle Tennessee by Animal Pros wildlife specialists. Opossums causing damage in your home or business? 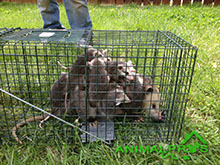 Call our state certified opossum removal experts at Animal Pros. We are state certified, fully licensed and insured with years of experience in Nashville opossum removal. We deal with residential and commercial opossum problems using methods that are safe and effective for your family, pets, home, and business. Our humane techniques of removal are why we are the best choice for homeowners, businesses, property managers, and government. The professionals at Animal Pros can help with opossum control services in Greater Nashville and Middle Tennessee area wide. Most of the common calls we recieve pertain to opossums in the attic or crawlspace, and damage is almost guaranteed, so opossum control is needed. We can remove opossums promptly and safely. Our humane solutions remove opossums, and our restoration team can repair any opossum damage. We cleanup any contamination or debris left behind. Opossum trapping can be difficult if you’re not a professional. Failed attempts to trap a opossum or control a opossum problem, can cause a opossum to become “trap shy” and they will gradually stay away from traps. Let our professionals control your opossum problems safely. Opossum trapping is the most effective way to remove problem opossums. Heavy duty, baited, live cage traps are the most utilized way to capture a problem opossum. Sounds easy, doesn’t it? Here is what you should know. A homeowner attempting to capture a opossum may do so successfully, but then what? In Tennessee, it is illegal to transport wildlife without proper permits. So what do you do with the opossum you just captured? You can let the opossum go at the back of your property, on-site, or call a private company for pick-up and removal. Opossum trapping should only be attempted by professionals like Animal Pros. Opossums seen during the day seems to cause a panic, and its often thought the opossum is rabid. Opossums in residential areas are susceptible to rabies and other diseases, but will move during the day if food is readily available. Opossums body temperatures are sustained at low enough levels that the rabies virus will not survive in opossums a majority of the time. Opossums can be infected with ectoparasites, and other diseases, which can be hazardous to people and pets. Chances of incidental exposure to any of these are greatly increased when opossums move into a attic, crawlspace, or close proximity of your home. Avoid areas that may harbor opossum contaminates or dropping accumulations. Contact Animal Pros specialists for disinfecting, sanitizing, deodorizing, and restoration services of opossum problems. Opossums are most known for their rat like appearance of their long slinder snout, pointy ears, and hairless tail. Opossums have white to shaded gray fur, and have the most teeth of any mammal at 50. They can weigh up to 10 – 20 lbs. Opossums are found throughout the United States, and are even problems internationally. Opossums are omnivorous, eating both plant and animal foods, and are opportunistic feeders. Mating begins December – June, dependent on geographical area, with 5 – 20 young being born starting in March. Opossums are nocturnal, but in a residential setting can make a daytime appearance if food is readily available. Follow these steps to keep opossums from living in your attic, crawlspace, or in close proximity to your home. Keep trash cans tightly closed. Do not feed pets outdoors. Eliminate dog and cat doors. Ensure there are no openings to the attic or crawlspace. Make sure your chimney is capped. Remove bird and squirrel feeders. As any wildlife living residentially, opossums will seize a opportunity at a free meal of dog or cat food or even drink or wash off in your back yard pool. Proper precautions can eliminate future problems when dealing with residential opossums. Animal Pros works with insurance providers on opossum damage and repair claims. There are several claims that some insurance providers will try to deny that they cover. Animal Pros, is on your side and looking out for you, the homeowner. We can ensure you are treated fairly because we can deal with your insurance company. 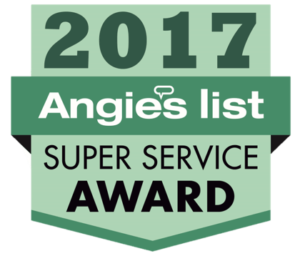 We work with all providers, All State, State Farm, Travelers, Farm Bureau, Nationwide, Liberty Mutual, The Hartford, Farmers and more. Contact us today 615-499-5692.